The playing field Top 10 Reasons Not to Talk to the Police We count on law enforcement to protect our rights and safety. For most people, the police represent a lifetime of security with only the occasional interaction along the way, if any at all. But when the tables turn and we find ourselves suspected of a crime, the law officers may employ nearly any measure to get the information they need, whether it infringes on our rights or not. The police know the law better than the average person does, and they can easily use it against us. The unrepresented person has little bargaining power and no expertise in their own defense. This disparity makes an unleveled playing field. At the Law Office of Kirk Piccione, we can help you level that playing field. Learn about crimes and punishments in Louisiana Truth A criminal law attorney must communicate with his clients with integrity and honesty. Our Lafayette criminal defense attorneys defend your rights from interrogation through the entire criminal process. We answer all your questions. Our defense attorneys let our clients know their options at every turn, and we let the opposition know that we will not be bullied. At the Law Office of Kirk Piccione we consistently seek the best possible outcome for our clients. Justice Our Lafayette criminal lawyers can help you resolve your criminal matter and get your life back on track. All the while, you can be sure that your rights and the rights of your loved ones are protected. When dealing with experienced law enforcement and prosecution, remember, it is the prosecutors job to prosecute every crime committed. When you hire the Law Office of Kirk Piccione for criminal defense or general practice - civil litigation cases, it is our job to help you. When your freedom is at stake, trust experience and results Criminal defense attorney James Kirk Piccione has an established practice in Southern Louisiana. 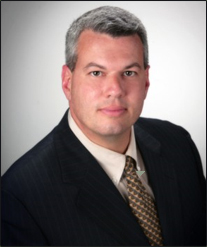 As one of only 10 attorneys in the city of Lafayette certified by the Louisiana Supreme Court to handle death penalty cases, he has made a name for himself in the greater Lafayette area in the following legal concentrations: Criminal defense General practice-civil litigation Personal injury Some of Kirk Piccione's successes are detailed on the Verdicts and Settlements page. For more information on Mr. Piccione, please see his attorney profile. To receive quality representation for your criminal defense, contact criminal law attorney Kirk Piccione at 866-968-1813. Acadia Parish, Vermilion Parish & Lafayette General Practice Law Experienced Lafayette personal injury and civil litigation lawyer General practice attorney James Kirk Piccione offers clients in Lafayette, Acadia Paris, Vermilion Parish and the surrounding communities legal counsel to earn them fair compensation in the event of a personal injury. A personal injury occurs when a person suffers physical, emotional, or financial harm because of the neglect or wrongdoing of another party. Learn more about our general practice Personal injury consequences may include Medical expenses Rehabilitation Property damage Lost income Reduction of future wages Inability to perform routine activities Auto accidents Each year, motor vehicle accidents cause thousands of injuries and hundreds of fatalities in Louisiana. These accidents can involve Car accidents 18-wheeler and truck accidents Bicycles Buses Motorcycles Innocent pedestrians Acadia Parish, Vermilion Parish and Lafayette general practice attorney, James Kirk Piccione, has helped hundreds of vehicular accident victims recover damages. He is experienced in working with the unique laws in Louisiana pertaining to automobile accidents and other drivers' negligence on the road. If you have suffered injuries in Acadia Parish, Vermilion Parish, Lafayette or any place in Louisiana, it is important for you to retain an experienced automobile accident trial attorney to assist you in the recovery process. General practice attorney James Kirk Piccione offers clients in Lafayette, Acadia Paris, Vermilion Parish and the surrounding communities legal counsel to earn them fair compensation in the event of a personal injury. A personal injury occurs when a person suffers physical, emotional, or financial harm because of the neglect or wrongdoing of another party. Acadia Parish, Vermilion Parish and Lafayette general practice attorney, James Kirk Piccione, has helped hundreds of vehicular accident victims recover damages. He is experienced in working with the unique laws in Louisiana pertaining to automobile accidents and other drivers' negligence on the road. If you have suffered injuries in Acadia Parish, Vermilion Parish, Lafayette or any place in Louisiana, it is important for you to retain an experienced automobile accident trial attorney to assist you in the recovery process.